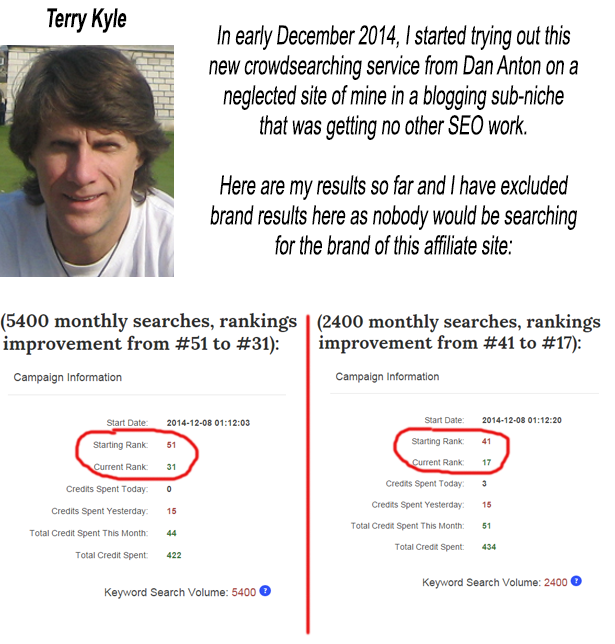 2 Years ago I stumbled across a concept I would later call Crowd Search Optimization. 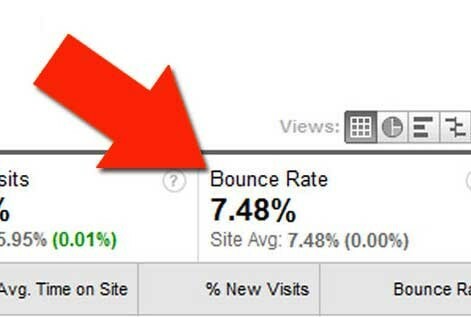 Back in 2011 I was creating a training video explaining the % of clicks sites on the 1st Page of Google could expect based on their keyword position. I then went on to demonstrate internal linking structure. I knew of a site on page 2 that had a really strong SILO structure that I liked. I referenced it in my video and told everyone to visit the site and see how they setup their internal pages. The Website Was Not on Page 2 anymore. It wasn't on Page 3 either! 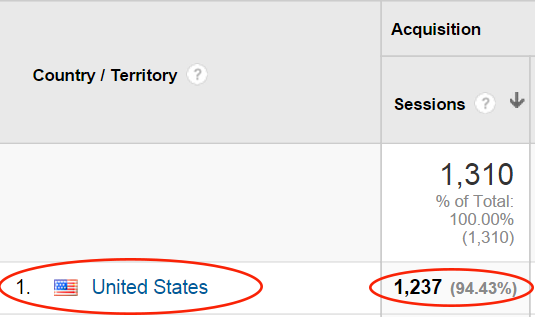 After 1 Week This Guy's Site Went From #14 to to #2! At first I was confused and thought that this guy must have been some kind of SEO Ninja Master. So I immediately started analyzing his backlinks, his social signals, and anything else I could think of. I then thought that maybe the rumors were true and that CTR had a bigger role in Search Rank than We Thought. I tried to recreate the process by hiring a bunch of Virtual Assistants to search for my keyword and go through the pages until they found my website and then click on it. 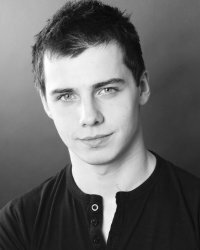 I wrote a program that would be installed on someone's computer in order to assist them in the process of searching for my website in Google, going through the pages until it found my listing, and then click on it. It would then force the user to browse my site for a set amount of time while also clicking internal links to look completely natural. I advertised in craigslist that I needed people to install my software and just follow the prompts. In exchange I paid them for their time. Keyword Rank Went from #19 to #3! Since then we have improved the software and grown our army to the size of a small city all across the USA, Canada, and the UK. And we continue to grow! 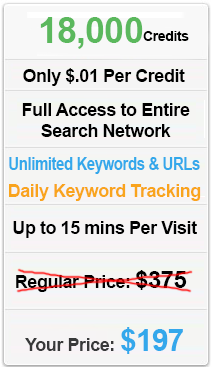 Not only that but the software now keeps the website and keyword data completely private from the crowd searchers. 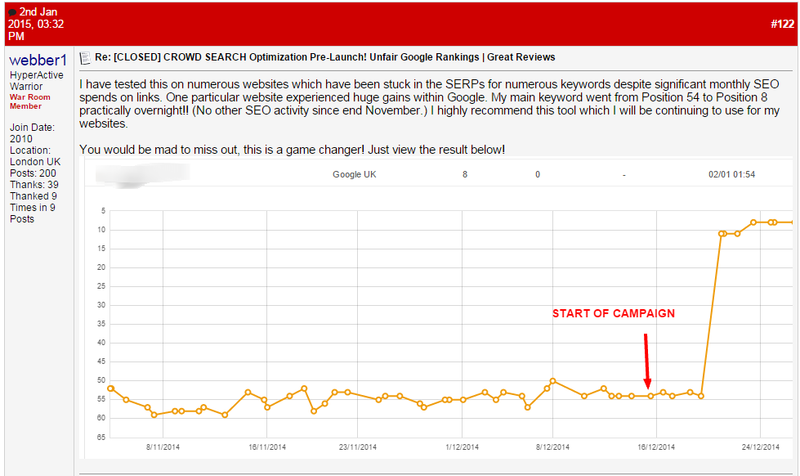 CrowdSearch.me Lets Google Know To Rank Your Website Higher. For example, if your keyword is "Blue Widgets" and your website is currently in the 59th position of Google's organic search index for that keyword, by searching for that keyword, finding your site in the 59th position, visiting your site and then spending a significant amount of time browsing your site and clicking internal links, this shows Google that people value your content for that search phrase. 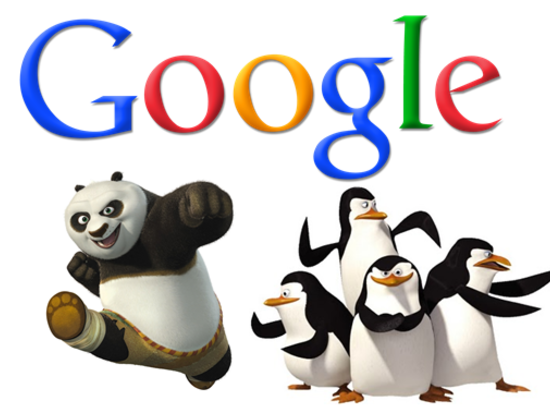 Google places a lot of authority on who's getting visited for specific search phrases. 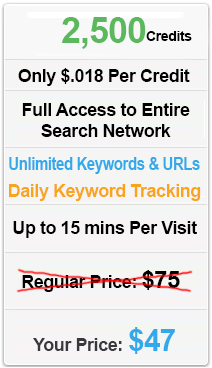 Track Your Keyword Rank Movement Directly within your dashboard. 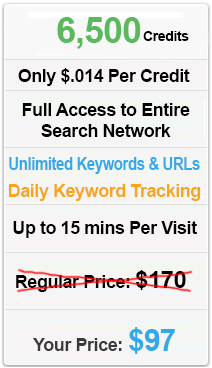 Keyword Rank is Highly Accurate and Updated Every 24 Hours! No more being afraid of the next Google Update. These are real people doing real searches in Google. It doesn't get any safer than this! No one will ever know you are using this system. Everything is 100% Secure and Private! 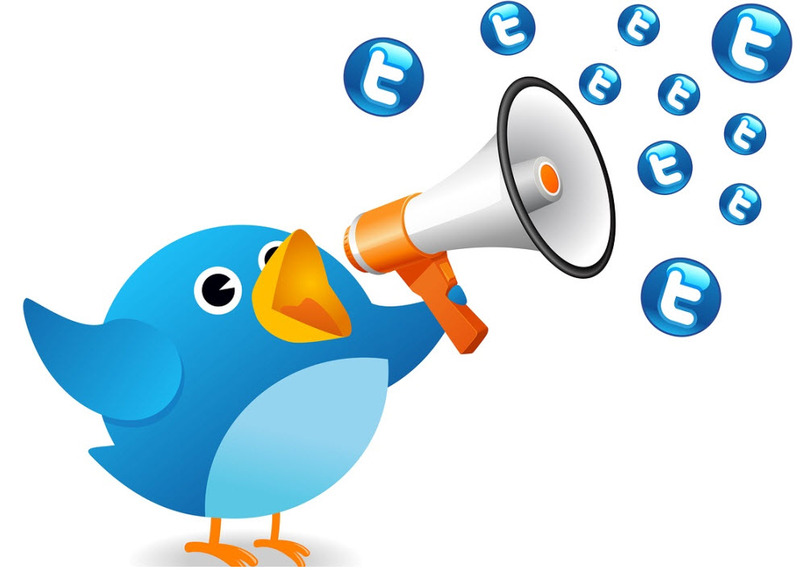 What Do Industry Experts Have to Say? 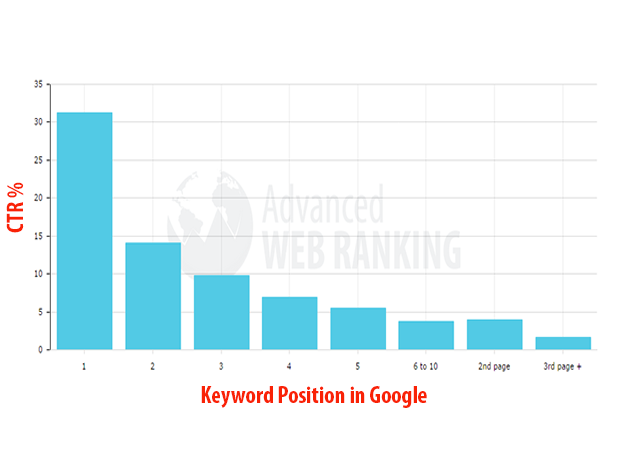 I have been monitoring various ranking factors for a number of years now and it is no secret that Google have upped their game when it comes to ranking your content. 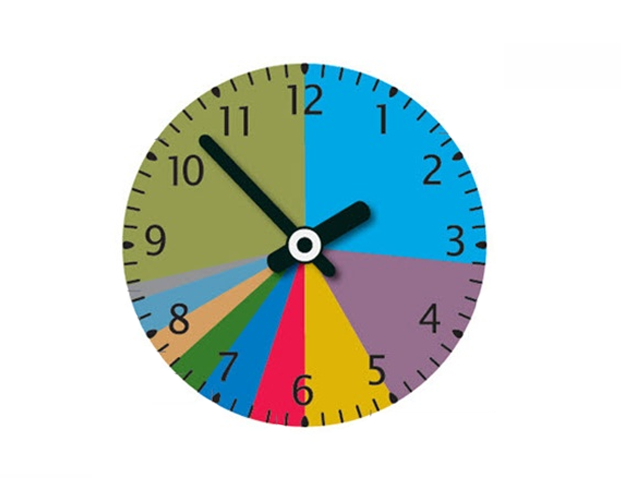 One particular ranking factor that Google appears to be placing more weight on in recent months is user search behavior, clickthru rate and dwell time. 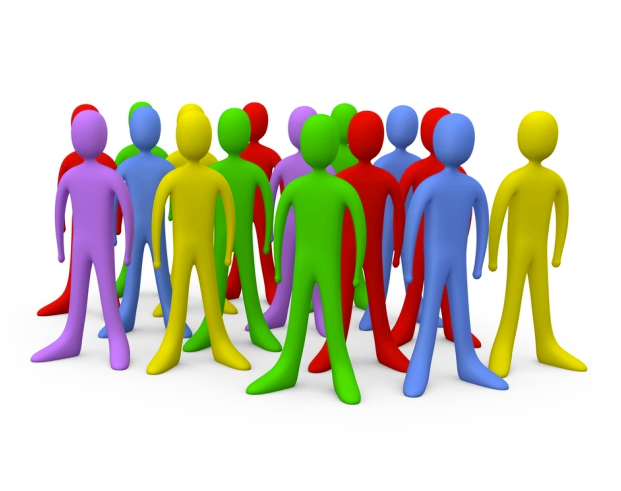 It is one ranking factor that they can monitor FULL metrics for and it links in directly with their full user base. I’m a massive fan of the Anton Brothers products and have been for years and I’m not surprised in the least that they have pulled off yet another blinding product with CrowdSearch. 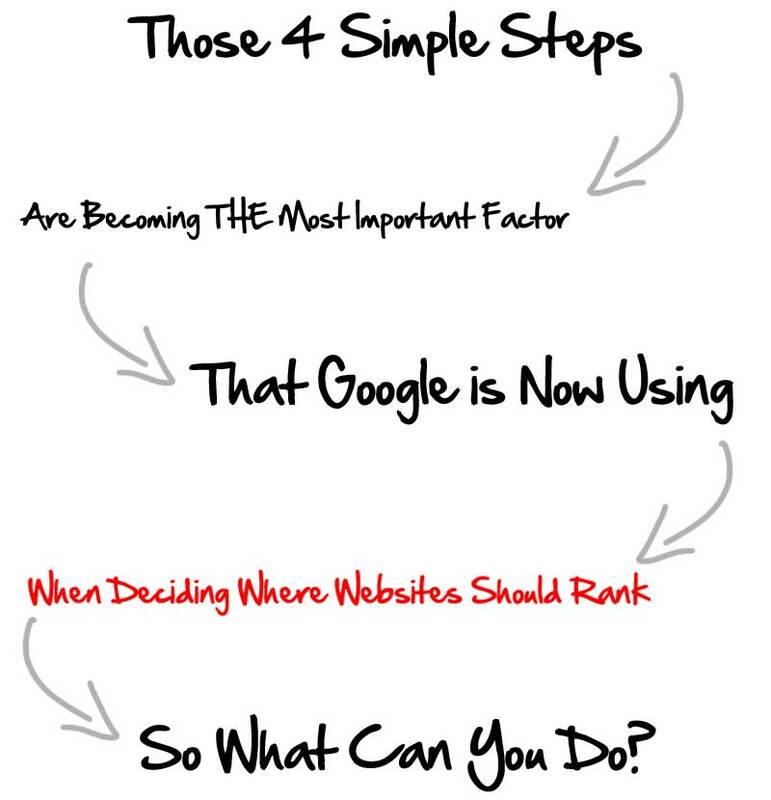 Their new service utilizes this trending ranking factor to maximum effect. One of the “cleverest” services I have seen. Whatever SEO techniques you carry out for your sites, add CrowdSearch to your toolbox. It’s certainly a “must have” for mine! 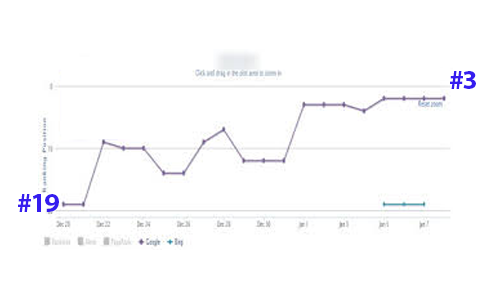 Clickthrough rates on your listings in search results are more influential than ever. 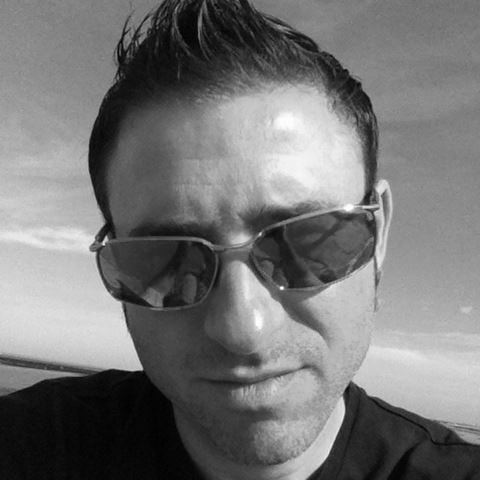 I’ve been an entrepreneur and internet marketer for over 8 years now and about 60% of our traffic comes from organic SEO. After just 10 days of using crowd search, my ranking went from 47 to 21, and has been climbing consistently ever since. If you’ve been keeping track of what’s going on in the SEO world today, you know that click-thru-rate is the #1 ranking signal search engines are using today to rank your website, NOT backlinks and NOT social signals. 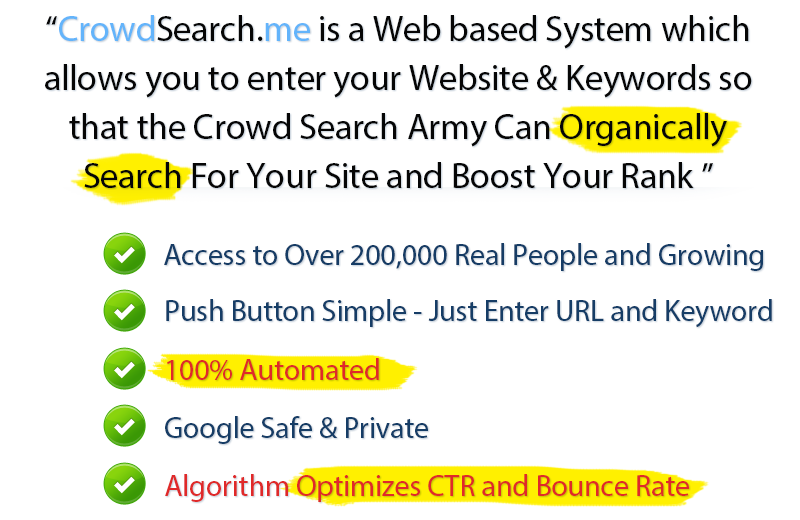 CrowdSearch.me is the first tool of it’s kind to use real humans to increase your CTR daily by searching for your site in the search engines and then clicking thru, resulting in your ranking going up. 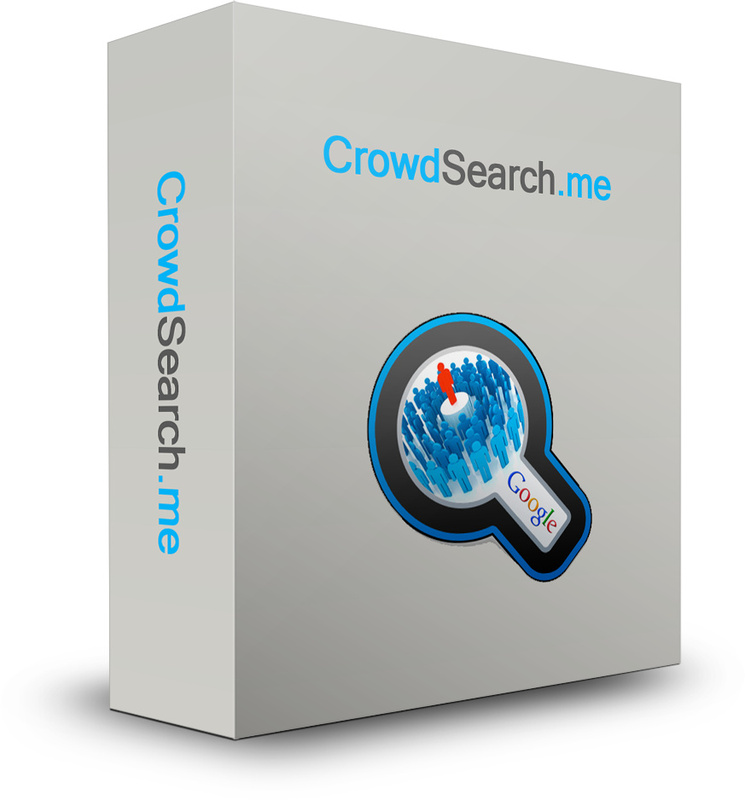 If you want to rank high nowadays in the search engines, you must give CrowdSearch.me a try, you can’t rank well without it anymore. 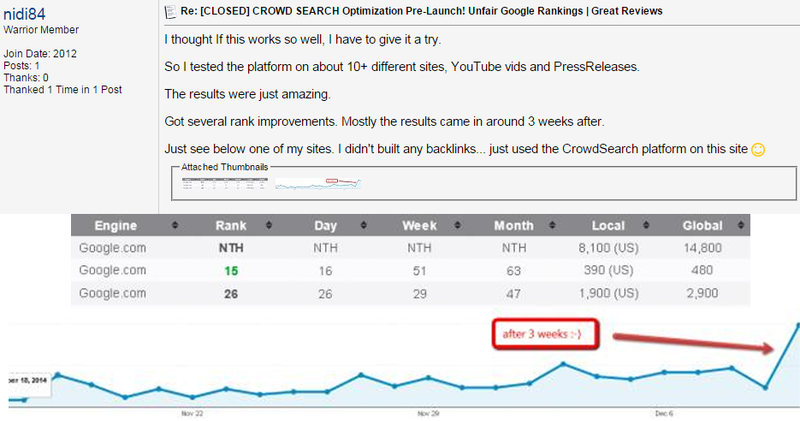 The proof is in the results and once I saw this take my rank from 14 to 5 in a matter of weeks I became a believer. I’ve since added even more campaigns and the results are looking just as impressive. Keep up the great work. You’ve got a lifelong member with me. Not at all. This is a cloud based Web Application on our Servers. We integrated everything into an easy to use dashboard where all you need to do is enter the Website URL and the Keyword you want to rank higher. Absolutely! These are real people conducting actual searches in Google in order to find your website and then click the search listing. This is the equivalent of you being able to call up thousands of people on the phone and ask them to please do a search for a keyword in Google, look through the pages until they found your website, click on it, and then browse it for a few minutes. How Long Will It Take My Site To Rank In Google? There is never a simple answer to that question. 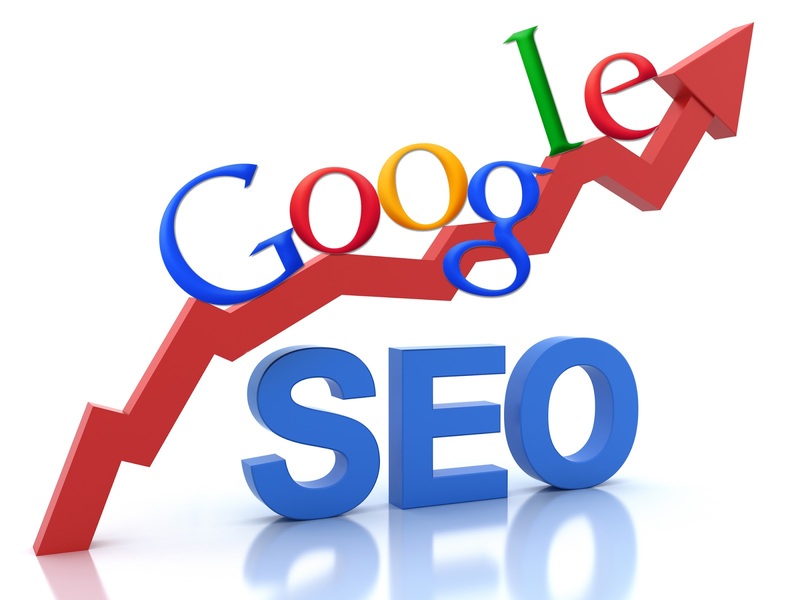 Some sites will start seeing results in the first week and others may take longer depending on the keyword competition. 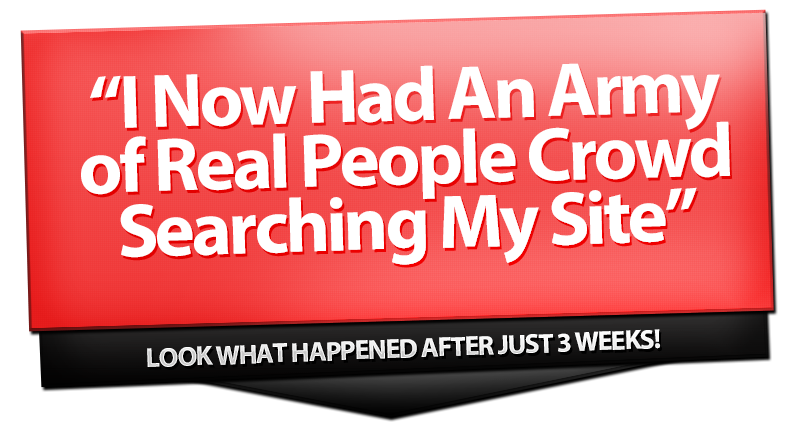 This is a system we have used for our own sites privately and it always gives us great results. The short answer is no. Backlinks are still a very important part of ranking websites and we advise you to still continue building high quality backlinks. 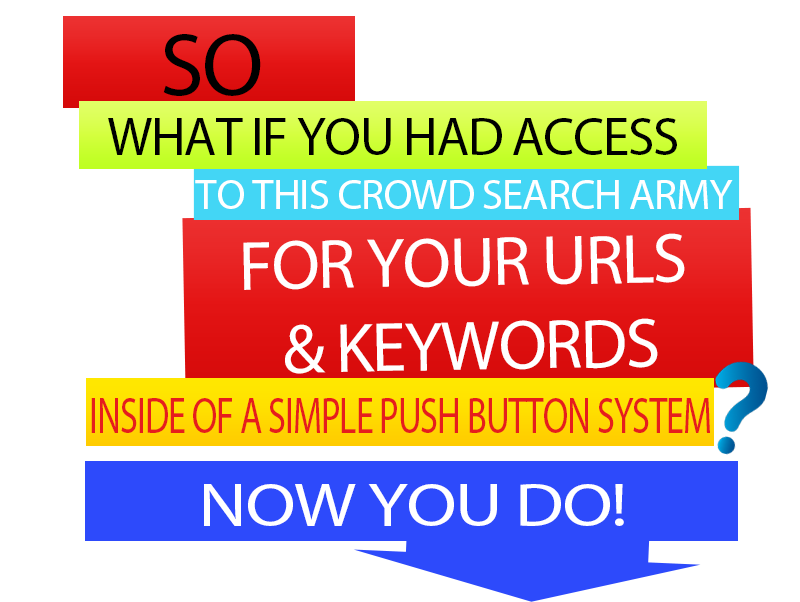 When you combine the power of CrowdSearch.Me with high quality link building you have an unstoppable combination that your competition cannot touch.